Nepal Orthopedic Surgical Trip Begins In Just Three Weeks! In just three weeks, Healing the Children’s Southern California Chapter departs for Nepal. The goal is to provide foot and ankle surgery for 25 children! 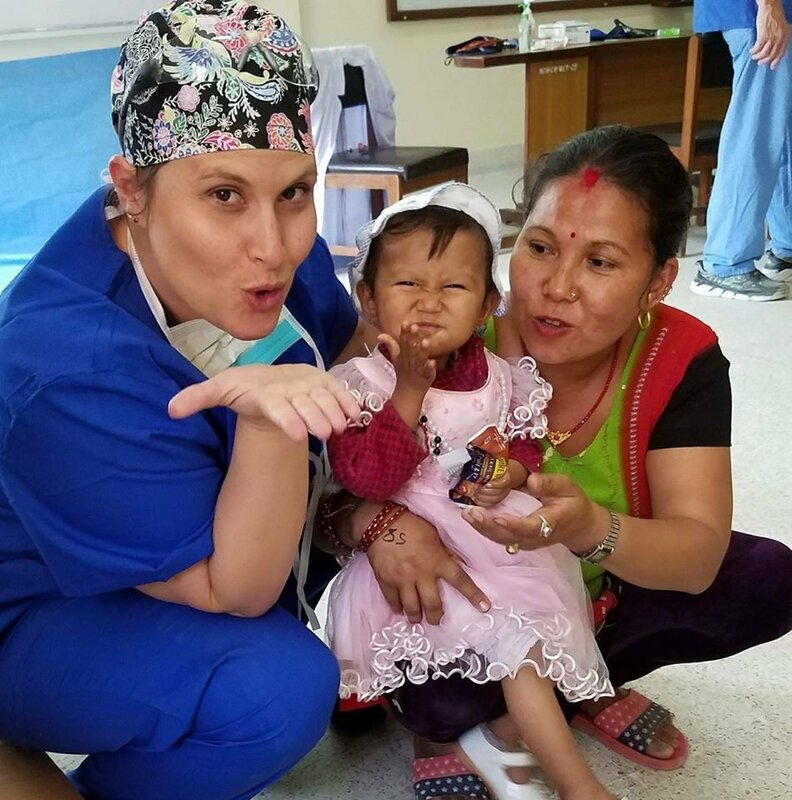 The team leader is Dr. Jennifer D’Amico on her 7th trip to Nepal and 5th as a team leader. This is a program that has helped to heal so many children and teens by giving them the ability to be more mobile and independent. In a country like Nepal with so many hills and mountains, the ability to walk is key to the ability to work, go to school, and be self-reliant. The team partners with the Nepal Orthopedic Hospital in Kathmandu and works with medical staff during the week. The need in Nepal is so great with an estimated 784 children born with club foot annually. Please join us today to support this vital work. Every gift matters. Healing the Children provides critical medical care to children all around the world. We envision a world where every child has access to medical care, regardless of ability to pay, insurance status, or physical location. With 16 chapters nationwide and many International Partners, we are committed to meeting the healthcare needs of children worldwide. But we can't succeed without the help of people like you! Take a look at the work we do and find out about the many ways that YOU can get involved in changing the life of a child. Healing the Children is perhaps the oldest and largest registered charitable organization focused single-mindedly on helping underserved children throughout the world to secure urgently needed medical assistance they otherwise are unable to obtain. Established in 1979, HTC has successfully helped over 250,000 children in over 95 countries to date, providing over $700 million of medical services via the healthcare professionals who volunteer and donate to Healing the Children. It is a sad fact that an estimated 1 billion of the almost 7 billion people who inhabit our planet currently have never nor will ever be able to consult or be treated by a healthcare professional of any kind. A far greater number lack the mobility to obtain the specialty care needed for surgical intervention and correction. With the vast concentrations of these underserved populations in emerging and developing countries, an estimated 60% of the underserved are children under 18 years. Healing the Children is organized as an affiliation of separately incorporated local chapters (16 such chapters currently) and is predominately volunteer-based with only a handful of employees in some of the larger chapters to manage the logistical workload. Each chapter organizes the medical resources and healthcare professionals and local volunteers within their geographical areas around programs and specific projects that meet the needs of these stakeholders and the needs of international partners who have sought out HTC’s collaboration. Current estimates are that approximately 700-1000 U.S. based volunteers and 50-75 international partners are involved in Healing the Children's programs and projects at any particular time. Our Inbound Children Program to bring critically ill children into the U.S. for treatment if this is not available for them outside the US. With the support of our estimated 75 pediatric hospital partners across the United States, Healing the Children has helped over 8,000 children via this program. Our Outbound Medical Teams Program whereby we organize and manage medical teams sent to work for a week to 10 days at a pre-selected clinic or hospital outside the US alongside of their colleagues in those countries. And lastly, our Domestic Programs where the chapters work with local social service groups to help children secure medical assistance that may be beyond the more limited missions of other groups and social services. Over 18,000 children have been served by these local programs. With 16 local chapters, hundreds of compassionate and dedicated volunteers, the support of our many international partners and pediatric hospitals in the United States, Healing the Children has been making a real difference in the lives of children around the world since 1979.